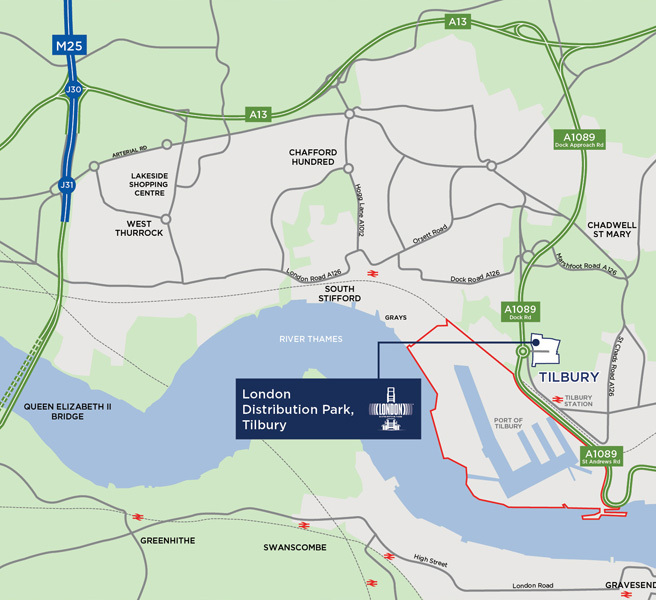 London Distribution Park, Tilbury is a 70 acre warehousing and distribution park with outlined planning permission for B1, B2 and B8 uses as well as 11 acres of hard standing. When completed it will total just under 1 million sq ft of development. The first unit, comprising 110,000 sq ft on 10 acres, has been constructed on behalf of Travis Perkins. The Port of Tilbury is the largest deep sea port in the Thames Gateway. 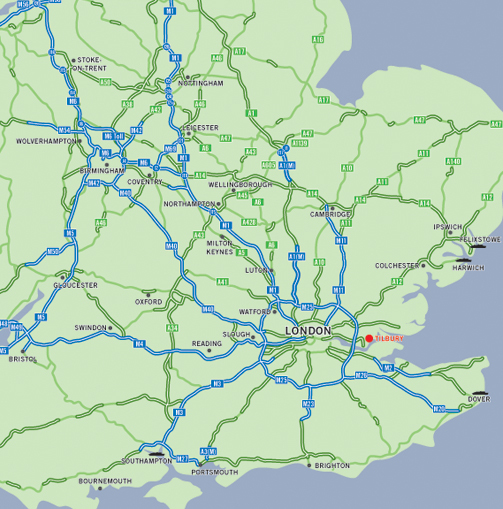 A 70 acre strategic multi modal warehousing and distribution park at the Port of Tilbury London and close to the M25.